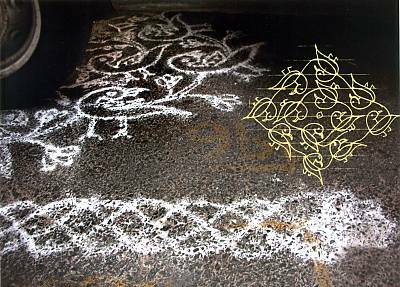 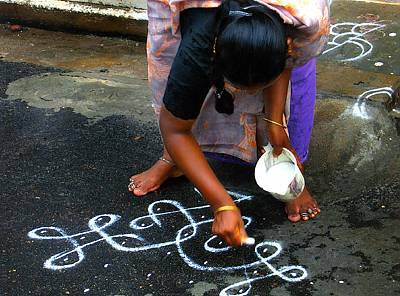 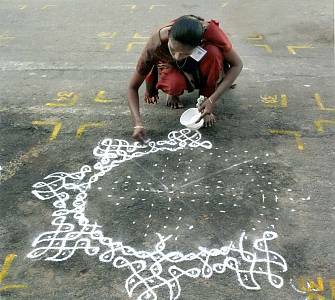 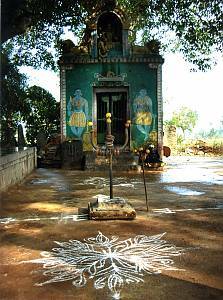 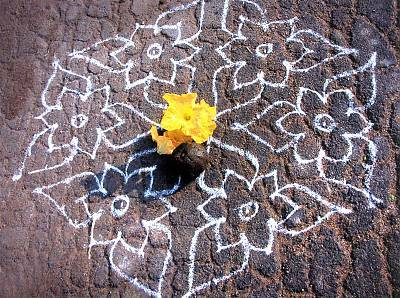 EN: Ritual Kolam is part of collective imagination of Tamil women : Earth is first swept c1ean and then purified by sprinkling of water mixed with cow dung. 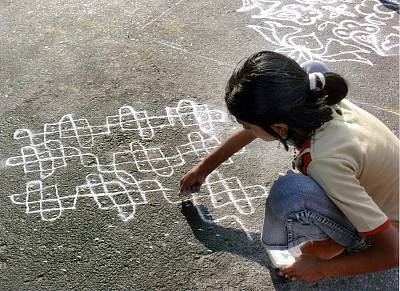 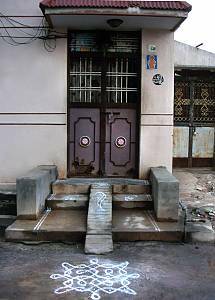 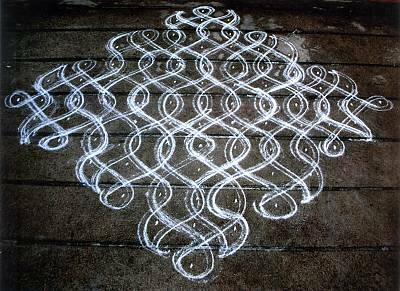 EN: The protective Kolam is an endless knot. 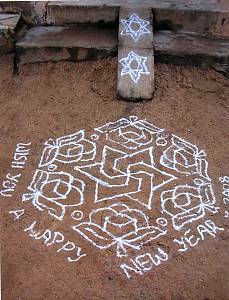 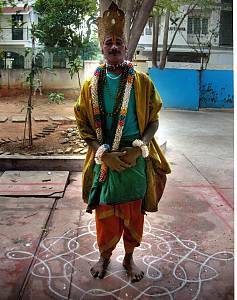 The skilfully devised labyrinthine Kolam ensnare and destroy harmful spirits.